You must be a member of the Brussels Theater Group to attend this activity. Would you like to join this group? 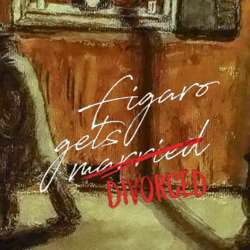 There's a new play by ETCetera (European Theatre Club), an international theatere club in Brussels: FIgaro gets divorced. But if you don't want to go alone, let's go together on Friday, the 22nd of February. We'll meet in front of the theatre, half an hour before the play starts. Not a happy man, our Figaro. Having got married to Susanne in the Marriage of Figaro, he is at odds with the world. Being compelled to leave his country, losing his job and his comfortable position in the castle of his master the Count Almaviva, he then discovers that his wife isn’t behaving at all as he wants - and expects. Come and find out what happens at the Warehouse Studio Theatre, Schaerbeek, Brussels between 19th and 24th February Protected content . ETCetera asbl puts on mainly European plays in Brussels. “Figaro Gets Divorced” is a play by Ödön von Horvath about immigration, adultery and hairdressing. It will be performed in English, French and some parts in German; but always with surtitles in English or French. With poetic licence, it takes some of the characters of “Marriage of Figaro” the play and opera, and sets them in the between-the-wars period of the Protected content and 30s. Not always a comfortable place to be. Please join this event only if you are sure to go and don't forget to cancel if you cannot come.